Want to learn cables? This is the project for you! 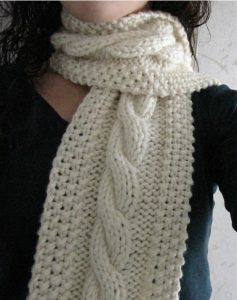 This cozy scarf knits up quickly in a bulky or super bulky yarn and is constructed of one simple cable with a seed stitch border.